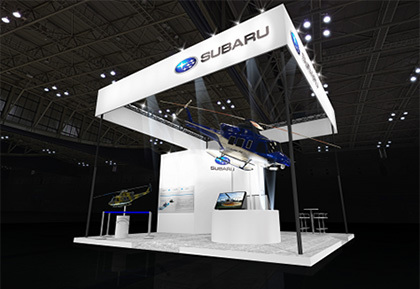 Tokyo, April 3, 2019 – SUBARU today announced that it will participate in the Rotorcraft Asia 2019 to be held at Changi Exhibition Centre in Singapore from April 9 through 11. Rotorcraft Asia is the dedicated exhibition and trade show for the helicopter in Asia region where the helicopter market is rapidly growing up. This is the second exhibition following the first one held in 2017. SUBARU plans to introduce SUBARU BELL 412EPX which is the latest and has already been launched. SUBARU intends to accelerate its sales worldwide together with BELL HELICOPTER, a Textron Inc. Company, USA, which is the co-developing partner for this aircraft. 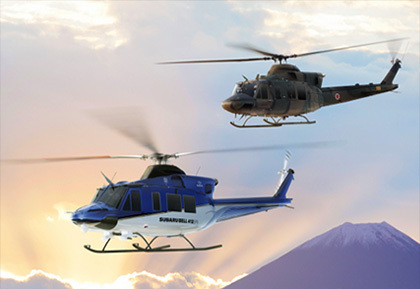 Models of SUBARU BELL 412EPX*1, which acquired the FAA certification on July 5, 2018, and New Utility Helicopter for Japan Ministry of Defense(JMOD) *2 which has a common platform to the SUBARU BELL 412EPX of which the prototype aircraft SUBARU delivered on February 28, 2019. SUBARU CORPORATION is a leading manufacturer in Japan with the automotive and aerospace businesses as the pillars of its operations. Recognized internationally for its distinctive technologies, the company sells more than one million Subaru vehicles worldwide. Aerospace Company, by leveraging tradition and innovative technologies, develops and produces a wide variety of aircraft and components for major customers, such as JGSDF (Japan Ground Self-Defense Force) and Boeing. Optimizing its unique and advanced technologies, we will grow toward an aircraft manufacturer with a global presence and will actively take on challenges in new fields.